Could Everett Casino Be in Jeopardy After Allegations Against Wynn? Could Everett Casino Be in Jeopardy? Allegations of sexual misconduct have surfaced against Steve Wynn, the CEO of Wynn Resorts and could present an obstacle as the Wynn Boston Harbor heads toward a 2019 opening. As the Wynn Boston Harbor heads toward a 2019 opening, new obstacles could be emerging. 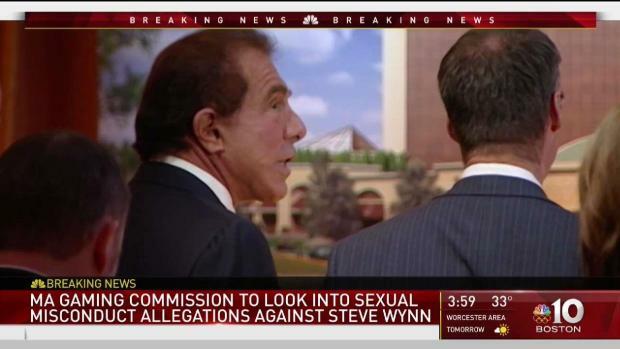 Allegations of sexual misconduct have surfaced against Steve Wynn, the CEO of Wynn Resorts. The Massachusetts Gaming Commission says it’s reviewing the company’s license. "The Commission is now aware of and is taking very seriously the troubling allegations detailed in the Wall Street Journal article," Massachusetts Gaming Commission Director of Communications Elaine Driscoll said in a statement to NBC10 Boston. "The suitability and integrity of our gaming licensees is of the utmost importance, and ensuring that suitability is an active and ongoing process. Consequently, the MGC’s Investigations and Enforcement Bureau will conduct a regulatory review of this matter to determine the appropriate next steps." A Wall Street Journal report published Friday afternoon cited a number of women who say they were harassed or assaulted by the casino mogul. If company money was used to settle any complaints, that could be a big problem for Wynn in Everett. McGowan, who studies gambling and casinos, says he doesn’t see any legal grounds for the license in Everett to be rescinded. “If you’re sitting in the city of Everett right now, the last thing you want is all of a sudden this big casino which is going to be the salvation of the city of Everett now going to go down the drain,” said McGowan. Celeste Ribeiro Myers, one of the leaders of the effort against casinos in Massachusetts, says the alleged actions involved—in this time of #metoo and #timesup—could also play a role in any decision by the gaming commission. 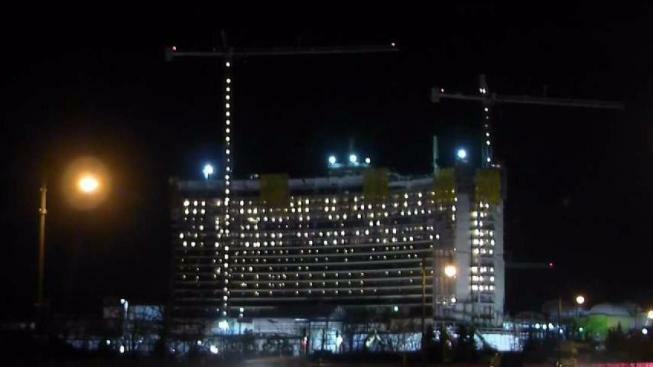 Progress is being made on the massive resort casino being built in Everett, Massachusetts. Mass. Gov. Charlie Baker is "deeply disturbed by these allegations and expects them to be taken seriously," according to a statement from his office. "This administration has a zero tolerance policy for sexual harassment and expects the Commonwealth’s employers to create a safe work environment for all employees where reporting harassment of any kind is encouraged and properly addressed." Wynn has denied the allegations against him, blaming his ex-wife for stirring up trouble because of a contentious divorce. "The idea that I ever assaulted any woman is preposterous," Wynn said in a statement to NBC News. "We find ourselves in a world where people can make allegations, regardless of the truth, and a person is left with the choice of weathering insulting publicity or engaging in multi-year lawsuits. It is deplorable for anyone to find themselves in this situation." He said his ex-wife, Elaine Wynn, has "explicitly threatened to slander and destroy me," adding he was "surprised" by the report because it will "be used to advance this agenda." Dozens of people told the WSJ about "behavior that cumulatively would amount to a decades-long pattern of sexual misconduct." Wynn Resorts stock dropped 10 percent following the WSJ's report Friday afternoon, according to CNBC. City officials in Everett declined to comment for this story.